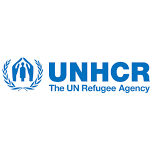 This is a Standard Job Description for all UNHCR Communications Officer positions. The Operational Context may contain additional essential and/or desirable qualifications relating to the specific operation and/or position. Any such requirements are incorporated by reference in this Job Description and will be considered for the screening, shortlisting and selection of candidates.